How Do I Get a New Hampshire Motorcycle Endorsement? If you already have a New Hampshire driver’s license, you can get a motorcycle endorsement added that will permit you to ride your bike on New Hampshire’s roads. The process of obtaining or transferring a motorcycle endorsement is relatively simple, but it does require you to pass the state’s motorcycle safety test. If you have an out-of-state license with a valid motorcycle endorsement, the process is simple: take your license in to a Department of Motor Vehicles (DMV) branch and have your out-of-state endorsement transferred to your New Hampshire driver’s license. In most cases, you will not have to take New Hampshire’s motorcycle test in order to transfer an endorsement from another state. If you’re new to motorcycling or don’t have an out-of-state endorsement, you will need to pass the DMV’s road and written tests before you can receive a New Hampshire motorcycle license endorsement. You aren’t required to take an NH motorcycle safety class, but a class can teach you important skills that can help you avoid accidents and stay safe on the road. The DMV offers more information about signing up for motorcycle safety classes. 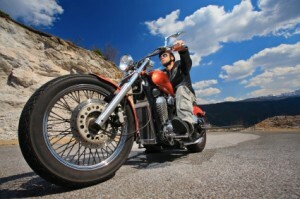 Motorcycling is exhilarating, but motorcycle accidents can cause serious injuries. If you or someone you love has been injured in a motorcycle accident, please don’t hesitate to contact the dedicated New Hampshire motorcycle accident attorneys at Tenn And Tenn, P.A. For a free and confidential telephone consultation, call us today at (603) 624-3700, or call our toll-free Injury Helpline at 1 (888) 511-1010.